SOON TO BE A MAJOR MOTION PICTURE adapted to the big screen by Oscar-nominated director Carlos Saldanha. An international bestseller since 1992 with close to 200,000 copies sold worldwide, this is a humorous look at what makes up one of the world’s most colorful characters. 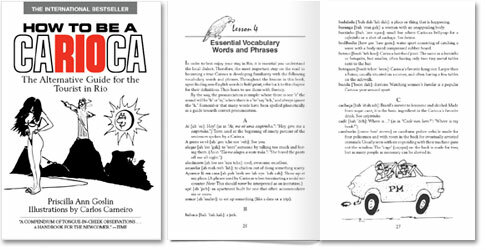 Written by a U.S. native who has made Rio her home for more than forty years, this international bestseller has been revised and updated to include a complete list of essential words and phrases you’ll never find in any English-Portuguese dictionary. Throughout the book, which includes more than fifty satirical illustrations by Rio-native Carlos Carneiro, Goslin details the irreverence of the Carioca. 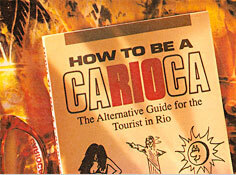 A must for the tourist who is unaccustomed to the whims of Rio, the capital of fun in the sun. * will open to Amazon’s website in a new window. Where to buy your copy.